Very pleased with your printing and super efficient service. Great team to work with. Thank you so much for everything! I want to add that you customer service is brilliant and that the quality of the cards are amazing too. Thanks to Ellie and Emma from me too (they help me with my files a lot). Hi thank you so much for your help this morning - I just wanted to let you know my order 1368997080 has just arrived in the post ! And I am so pleased with them, they are absolutely fabulous, thank you. I just wanted to thank you for your excellent service and for the speedy delivery of my cards during this busy time. I was delighted with the quality - you made them look great. They arrived in time for the art fair with a few days to spare. My customers commented on how beautiful they looked. Thank you again. Dear Redcliffe Team. Just wanted to say a huge thank you for my recent order of 150 cards. I am really pleased with them all. They have all come out beautifully and the colours are as per the original paintings too. Thanks again! You are completely and utterly amazing! Ordered late on a Sunday - received Tuesday 1st class mail - print and finish exceeded expectation by some margin. Hi, I have just returned from four days exhibiting at the British Craft Trade Fair in Harrogate. Your company recently produced prints and cards of my original textile work. I received lots of compliments about the quality of the printed images. Just wanted to say thanks for the quality of your products and hopefully if my leads follow through with promised orders, I will soon be ordering lots more prints and cards from you. Thank you so much! I am so very pleased with the customer service provided and the speed with which my order has been despatched. I have used Redcliffe before and I will undoubtedly use your services again. Just a note to say how impressive your service and products are. Ordered online one day, delivered the next morning - fabulous. As good as it gets and priced very affordably. I'm happy and intend to tell others about you and recommend they give you a try. Would just like to tell you how very delighted with the cards I am. They are exactly what I had imagined and really wanted to create. Thank you for your patience over several what must have been extremely exasperating calls to you. Will use Redcliffe again and once again thank you for a fabulous service and product. 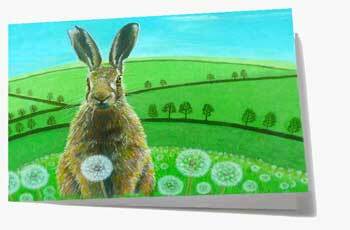 Having recently printed my latest batch of artist greeting cards with you, I would like to say thank you for the excellent quality of printing and the ease of use of your site. I will definitely be using your card printing again in the near future and possibly be ordering prints too. Some people are so good at customer services - cannot recommend Adrian @Redcliffe highly enough - really looking forward to my postcards. I like to design my own greetings cards for friends and family for different occasions, and have been struggling with the likes of zazzle, moonpig etc, who encourage you to use their pre-designed templates and make it ridiculously impossible to just use your own design. I wish I had discovered your service years ago but I am glad I finally have. I am also very impressed with the quality of the card and the price! Thanks again. I would like to express my deepest thanks for your lovely service, my cards have arrived today and I'm so happy with them. I will definitely use you again, it really does mean so much for your helpfulness, thank you so very much again, kind regards. Collected my greetings cards and I was so pleased with them. Great service and fabulous cards, that if they don't sell like "hot cakes" I ought to give up photography! Many thanks. I received my cards today and they are absolutely fantastic. You are a brilliant company and certainly the service and quality of product is better than the market's big players. Also, the fact that you can purchase single cards rather than having to purchase cards in bulk, at such affordable low prices is excellent. You have a £5 minimum starting price with a lot of companies for single cards, not including postage, and some don't even sell cards unless you purchase 10+ minimum, whereas with Redcliffe you can purchase only 1 for just £2!! I think it's fantastic. Thanks again. Just wanted to say how brilliant your service is. I was amazed when my cards dropped through the letter-box this morning and I only sent you my order two days ago! Really pleased with the print quality too. A huge thank you and I’ll certainly be re-ordering in the near future. I really liked the fact you contacted me to warn about potential quality issue with an image. I do like suppliers who watch my back. It's difficult to think of an improvement as the whole process was very smooth. I would like to tell you how pleased I am. From the ease of upload and straightforward order process to the good communication about progress and importantly the great image quality. A thousand thanks ... order of six cards arrived this morning ... a whole day before deadline! Many thanks and great quality as usual. I received my cards today and they are absolutely fantastic. You are a brilliant company and certainly the service and quality of product is better than the market's big players. Also, the fact that you can purchase single cards rather than having to purchase cards in bulk, at such affordable low prices is excellent. I received the 100 cards and envelopes on Wednesday as promised. I am delighted at the quality of your product. The optimised image is sharp and completely fills the space. 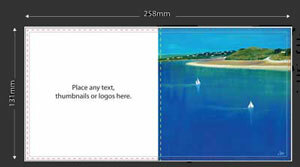 The card stock is substantial, and the thumbnail on the reverse is perfect. You have been wonderful to deal with, and you will certainly have more of my business in the future. 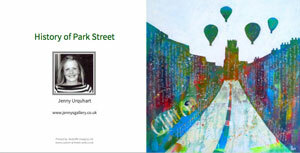 The cards arrived safely at the gallery this morning and I am very pleased with the quality, so many thanks. I've given your web address to a fellow artist who was very impressed by them too.